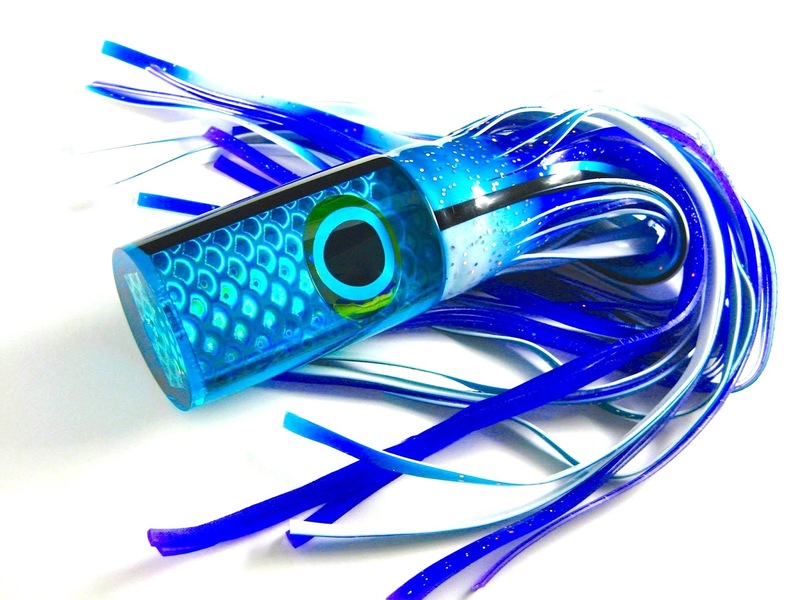 Our flagship lure has been around now for over 18 years, and in that time it has caught fish all over the world, from Madeira to New Zealand, and won tournaments and landed granders in some numbers. 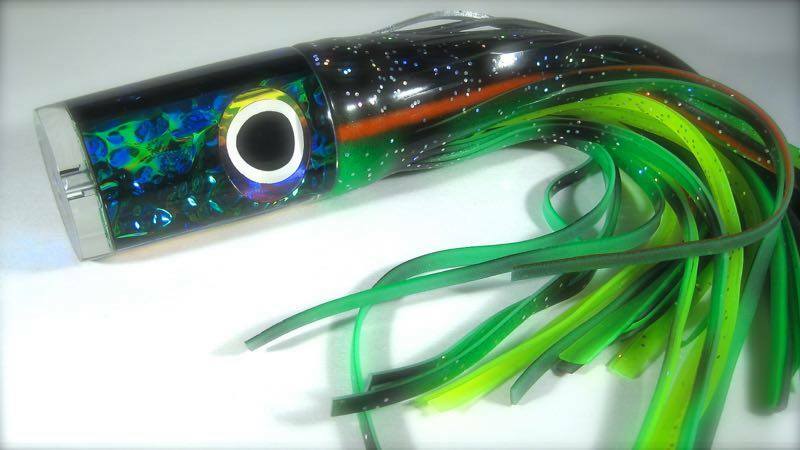 We are proud that is still continues to be the first lure in the water for so many top boats, even if half the time it's kept out of sight and considered something of a secret weapon. 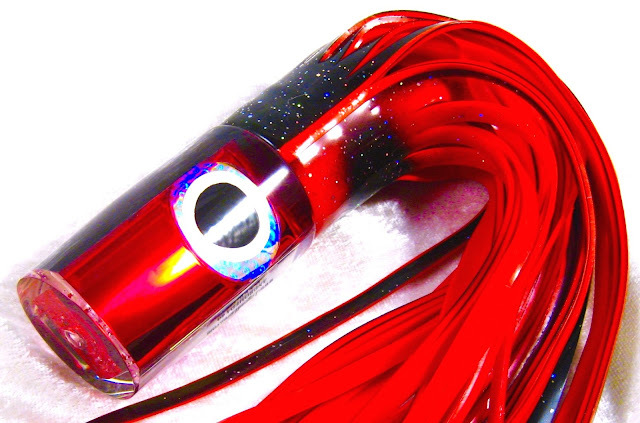 Although we now produce the Andromeda in several sizes, our biggest seller is still the original 80/130lb class lure, now classified as the #70 series. This is the shape and size that has never changed, and still meets the approval of professional crews worldwide in big marlin country. 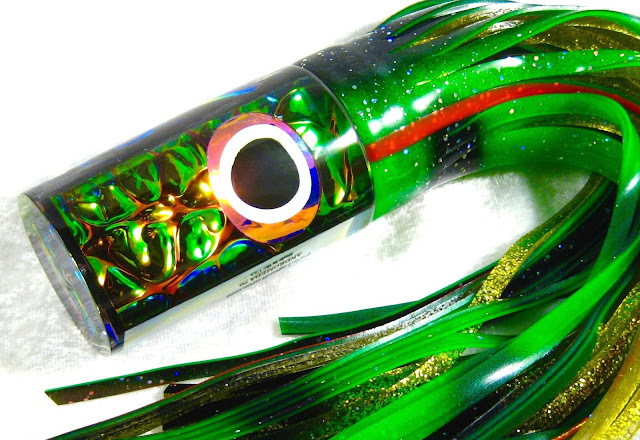 This has caught thousand pound fish in several locations, and won the July 4th World Cup along the way too. In the last few years we have introduced several smaller sizes to suit particular fisheries, and also a monster #80 series head that some have been brave enough to use as a teaser as well. Its smallest size is a nifty 10" long #30 series lure, and in this size it makes an excellent tuna and spearfish lure. The #60 series size is perfect for 80/50lb tackle, and the #30 series is small enough to tow on line as low as 20lb. The #50 series is a perfect all-rounder. 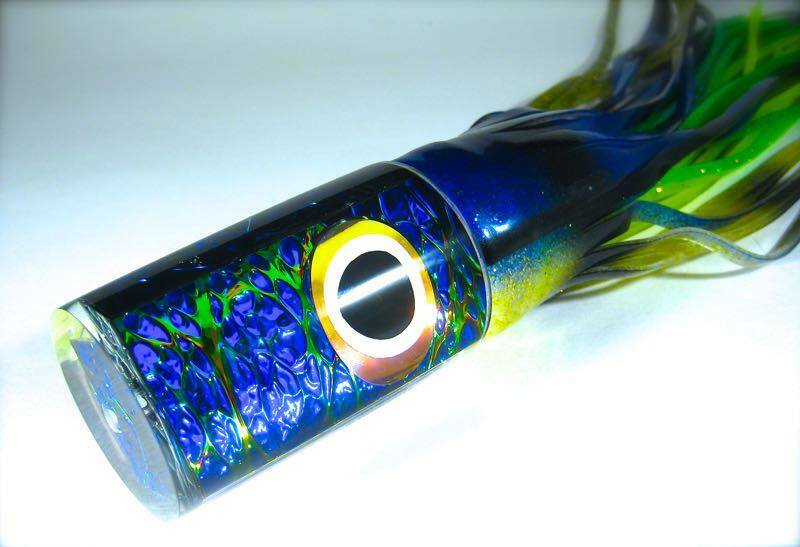 The Andie is a lure capable of getting to some depth underwater, and in that trait it truly becomes what the Hawaiians term a "big hole, bent pole" lure. It typically gets eaten down out of sight by some leviathan of the deep. 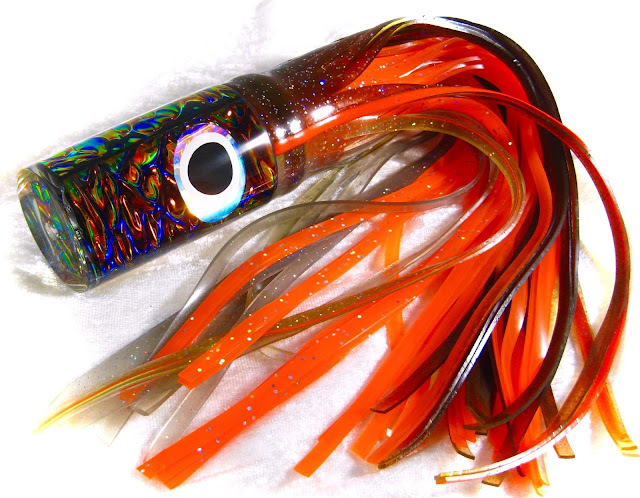 The higher you put this lure up in the rigger, the deeper it will get in its reciprocal dive-cycle. It has a huge pop, followed by a strong bubble trail and a distinct 'shake&shimmy' before the lure descends to the depths for the second half of its cycle. It is extraordinarily effective through a range of towing speeds up to 18 knots and is just as happy in the flat calm of Madeira's lee shore as it is in the rough and tumble of the Azores Bank after a major depression has gone through. It truly is an all-round lure, having caught fish in every position behind a boat over a wide range of speeds, in almost any sea condition. Roddy: just following up below. Also, would love to get 10 of the Andromedas you sent me if I could. Now that baseball is over we've been hard at it. Those things are like nothing I've ever seen. It's the first lure to get hammered every time. It's running with Joe Yees and Coggins and Bluedogs and cramptons and some of Bart's old stuff and gets killed. That said, I lost it this weekend on a ladies day trip with a husband who was trying to help but backlashed the reel on the bite thinking he had a natural bait on. Anyway, I cried a little. Don't want to be without one again. Any chance you can get me some more ? If you do not see what you are looking for, click HERE for more Andromedas, or click HERE to e-mail us with your request.